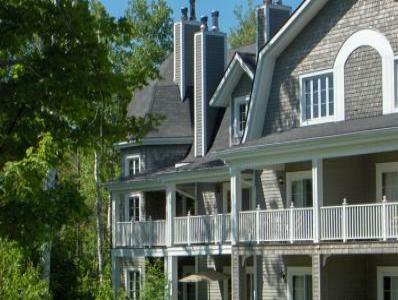 Tremblant resort set in the beautiful Laurentian Mountains of Quebec. homes. Les Manoirs , a familly vacation oriented complexe. Pedestrian Village & Ski Lifts. decorated and furnished and finally it is fully equipped. & dryer and of course, a modern and fully equipped kitchen. are all included for your use. view of the golf course and the village. Summer: Roller blades, Bicycles, Hikin Trails and Walking. Winter: Alpine ski-out, Cross Country Ski, Snow-shoe. * Practice putting green ( June To Sept. ). jump, danse and play with familly or amongs friends. Please Note (1) Minimum Rental Period is 2 nights.